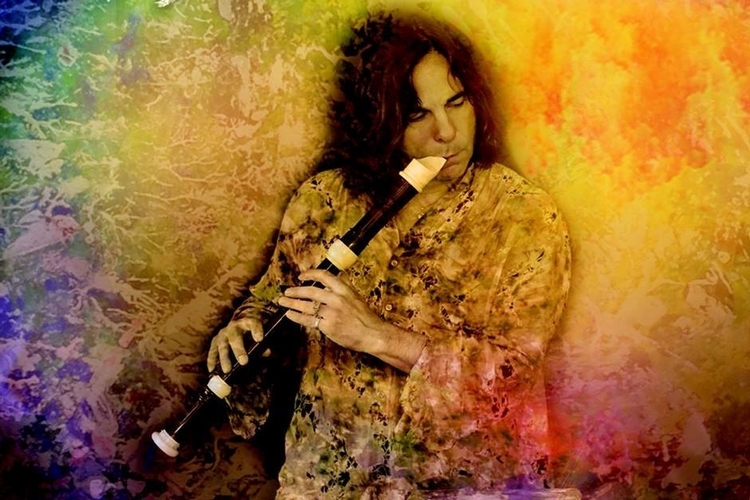 David Young is a musician who plays two renaissance flutes at one time in harmony. He has recorded 60 albums and sold over 1,000,000 copies. He is a healer, channeler, author and abstract artist. It is said that more people have had out of body experiences while listening to his music than other musician alive today. David is on tour throughout the country for 40 weeks out of the year, presenting his healing workshops, A Portal Between Heaven and Earth. More than 6,500 people have shared their experiences with the Ascended Masters, Archangels and/or loved ones on the heavenly side. David’s ability to open the channels to the ethereal realms is a direct result of his personal connection to the ascended masters combined with the extraordinary reach of the sound frequencies of his music. The personal experiences and documented feedback at David’s events are nothing short of phenomenal! People consistently share their experiences with either Buddha, Jesus, Lao Tzu, Quan Yin, or Mother Mary. Others have experiences with Edgar Cayce, Gandhi, George Harrison, John Lennon, Ravi Shankar, and the Egyptian Goddess Isis. Three people at one event saw Jesus standing in the exact same place in the room and he gave each of them the same inner symbols. Two women sitting next to each other at one event both described experiencing Quan Yin standing between them. On separate evenings, two people had the exact same experience with Buddha who brought them to this gigantic tree (The Tree of Life) that was so tremendous it was beyond their description of words. Violetta, who has cancer, has been visited six times by Jesus, George Harrison and John Lennon at events as they are helping her to heal. After living with 10 out of 10 horrible pain from her treatments the week before the last event she was pain free for 48 hours afterwards. A woman (whose son had Down Syndrome) had a Soul to Soul experience where he was syndrome free on the inner and he explained why he had that disease in his current life. David was given nine words to give to a woman, “I am Strong, I am Protected, I am Confident.” Afterwards she shared that Archangel Michael had come to her the previous week and gave her the same nine words and told her to write them down. At one particular event a woman was visited by Martin Luther King, who said he had some work for her in a couple of days. She shared this in front of 40 people who heard this at the event. 3 days later on Monday morning, her boss called her in to say he was putting her in charge of the Martin Luther King fund! Experience the healing music and deep meditations of David Young. Over 10,000 Wellness Centers and healers of all kinds; Reiki practitioners, therapists, psychics, yoga studios and spas use his music all day long because they feel that his music is the most healing music on the planet. John Hopkins Medical Centers actually have entire floors that play his music 24/7 for this reason. Approximately 300,000 people a day are being treated while listening to his music. David has recorded more than 57 albums including 6 Musical Affirmation CDs that have been approved by the APA (the American Psychological Association) because of their therapeutic qualities. The healing thread that connects all of David’s music is his amazing ability to play two flutes at once. This creates a harmonic resonance and a frequency that millions of people all over the world have experienced and call “The Most Heavenly Music on Earth.” Over 1,000,000 CDs have been sold. David unique performances consist of two 30-minute musical meditations with a group discussion after each. It’s not uncommon to hear people describe their personal meditation experiences as going to the same exact place in the spiritual world.